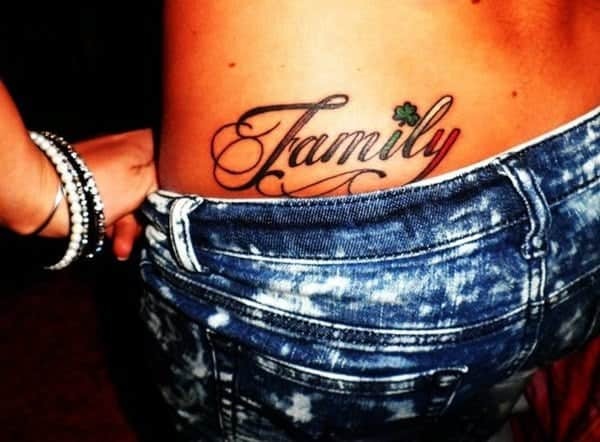 If you are looking for a tattoo that represents the love of your family, then you came to the right place. 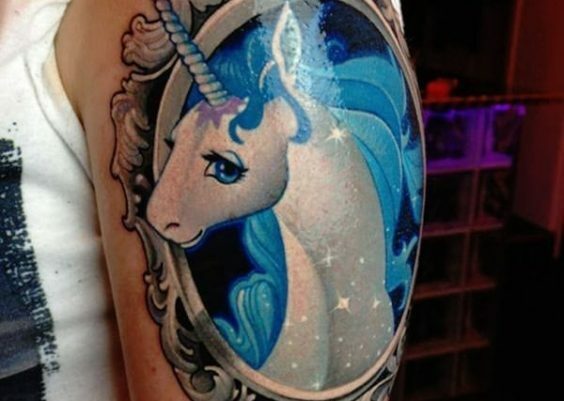 These tattoos are all about the love and some of them are pretty cool ideas. Honor your family in the flesh, because that lasts forever. 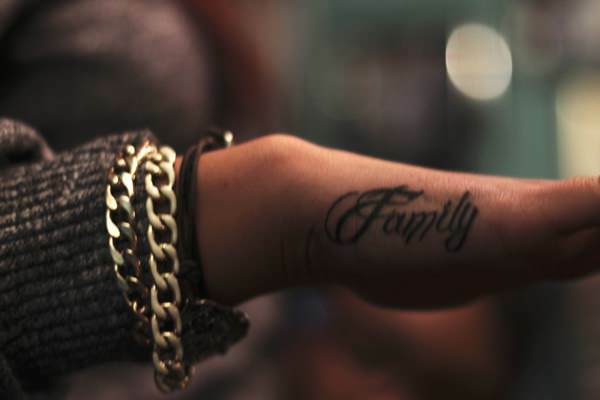 The family bond runs deeper than any other bond out there and when it comes to that bond we want to show off the love. Families are a blessing so why not show the love? We learn a lot from our families, not just the basics but how to love others and be a good person and those are some pretty strong lessons. We derive strength from our families and they are the ones that we go to in time of need. If words are not enough to express the love you hold close to your heart, then say it with a tattoo. That may be exactly why you found yourself reading this article. We have many different options to choose from, and they all represent cool tattoos that will show off your own personal style. 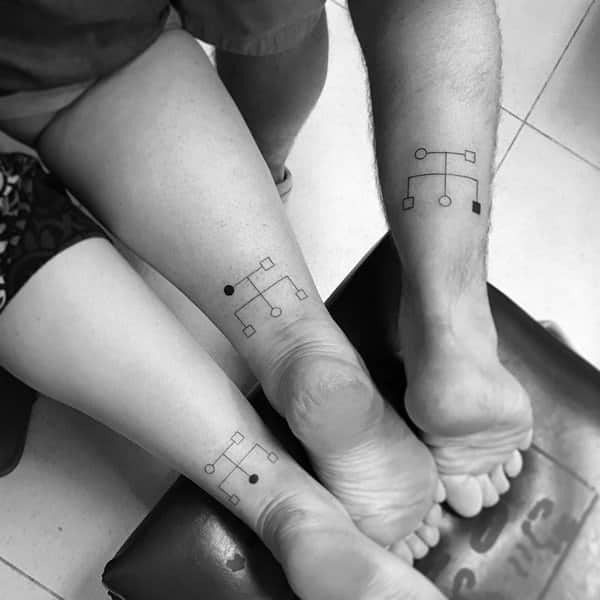 There are so many options out there for a family tattoo, and they all come in many shapes and sizes. 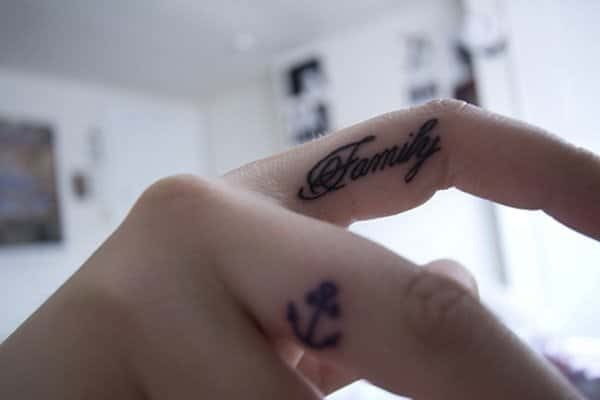 You can get a tattoo that reminds you of a specific family member or try out a tattoo that represents the whole family unit. The sky is the limit for what you can do to show your love. There are images, quotes, and letters that can all come together to create a great design for you. If you are looking for a tattoo that you will love for a long time, then you are sure to love these designs. A great image that is a lot of fun. This feisty girl is representing your father with a pistol. This is an insanely awesome design that has a great image and some badass lettering. The red and black look amazing together. If you are looking for a badass style then this is it. A great leaf design that has a family image on the inside. It’s a heartwarming style that you are sure to love for a long time. This image of holding hands is a great way to show love between parents and a child. We just love the detail involved in this tattoo. It’s a great image that is truly timeless. These are striking images that are hard to ignore. These family portraits have a lot of detail to them so make sure that you have a talented artist. These flowers don’t have outlines on them, which creates a soft look to them. 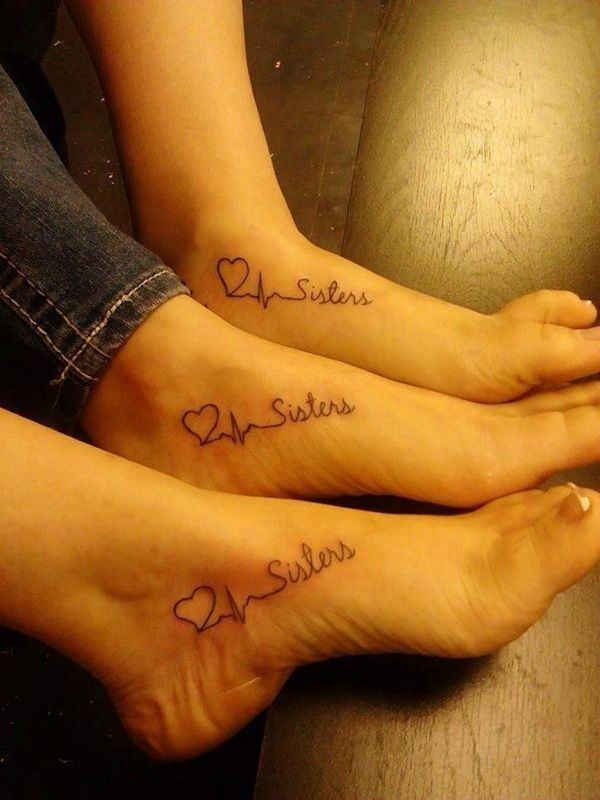 If you have sisterly love then you are sure to love these tattoo designs. 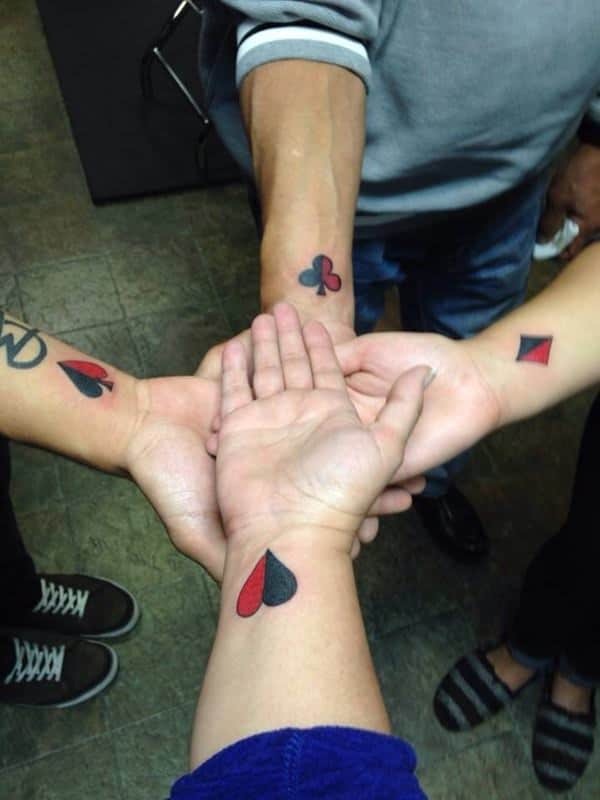 This tattoo appears as if the love has left the family. 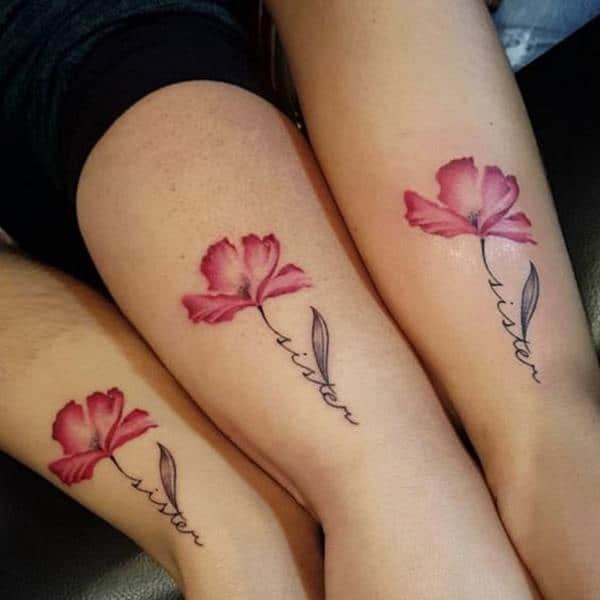 It’s a gorgeous family tattoo that is soft and delicate. The lettering is small which gives it an elegant vibe. 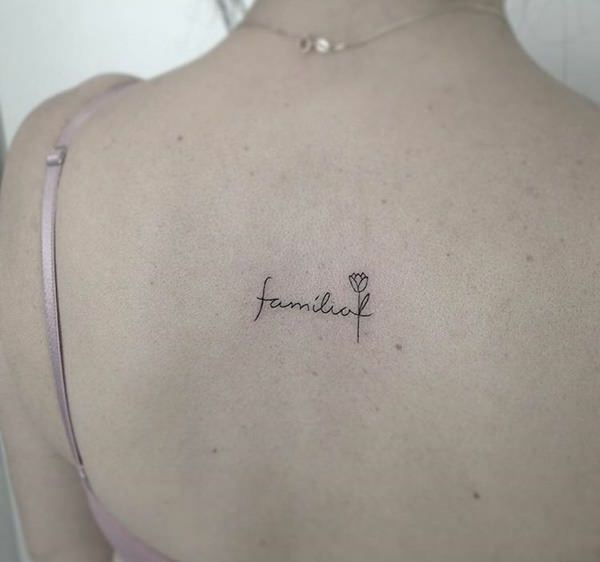 A simple tattoo that screams your love of family. it fits nicely on the back of the neck so that it can be hidden if you want it to be. These beautiful flowers represent family love and the Greek letters are names or family initials. 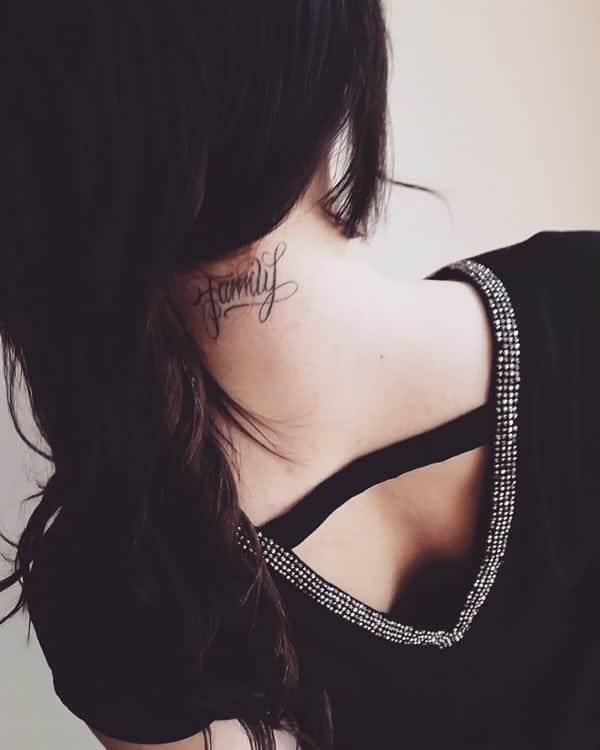 If you want to share a tattoo with family members then these are some great ideas. They are fun and still small enough that it’s not a huge commitment. 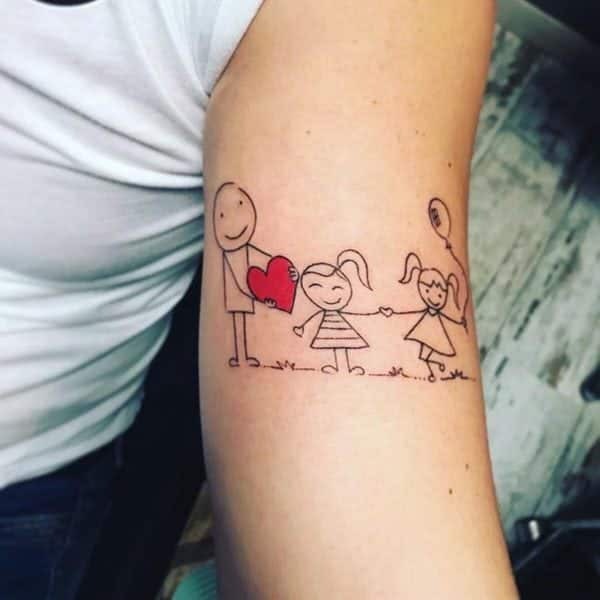 A great tattoo design to represent the love of a child. 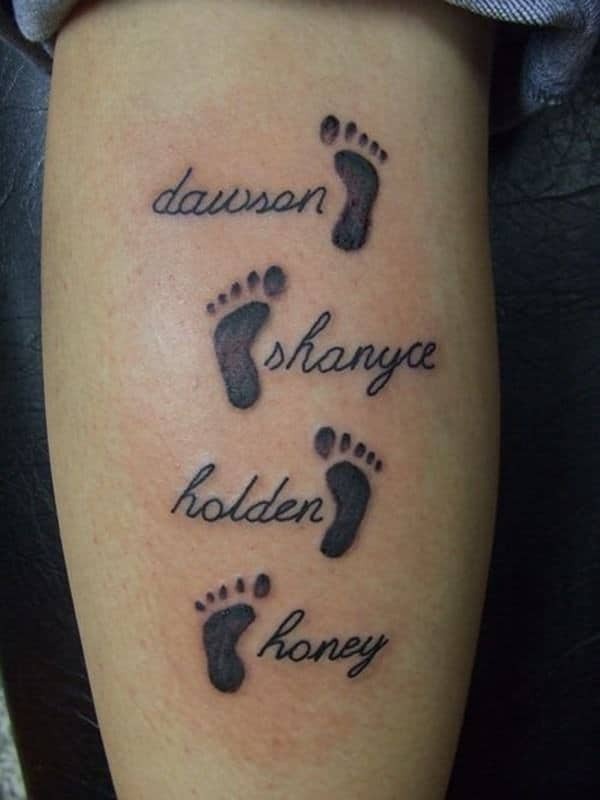 Footprints have always been a popular family tattoo idea. 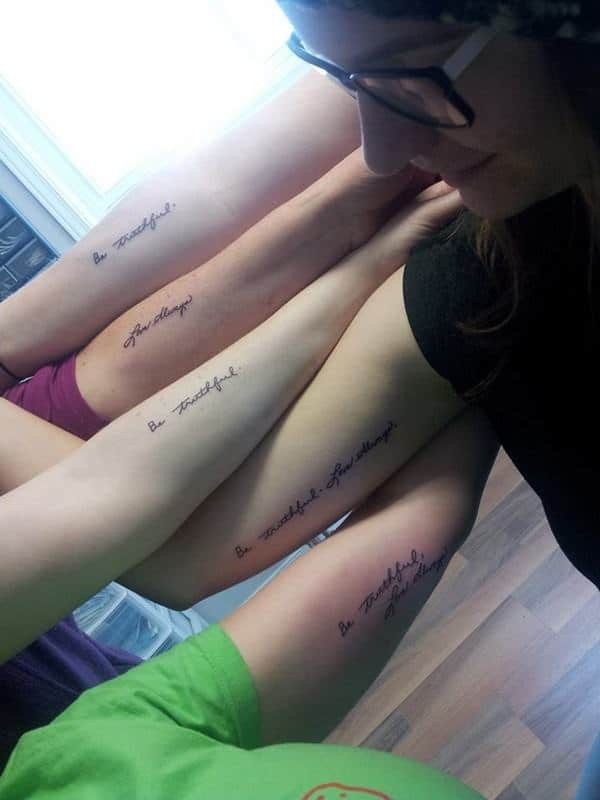 This adorable tattoo represents the whole family and we have a lot of love for them. We just love the astronaut theme. If you want to have matching tattoos they don’t have to be the same, they can just be of the same theme. These symbols are supposed to bring good luck so it’s a great way to represent family love. A great design that sits on the back of the neck. If you have a family member that has experienced breast cancer then this is the one for you. 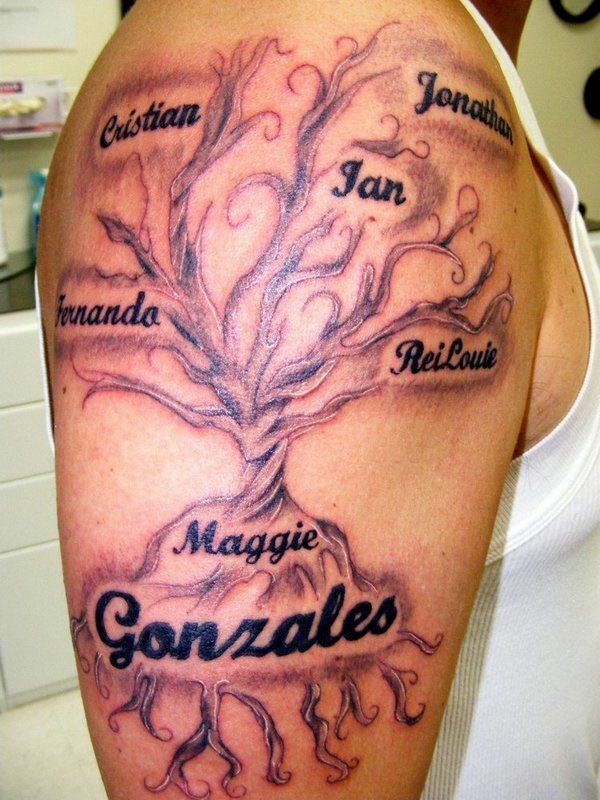 Family trees are always fun and you are sure to love this design. 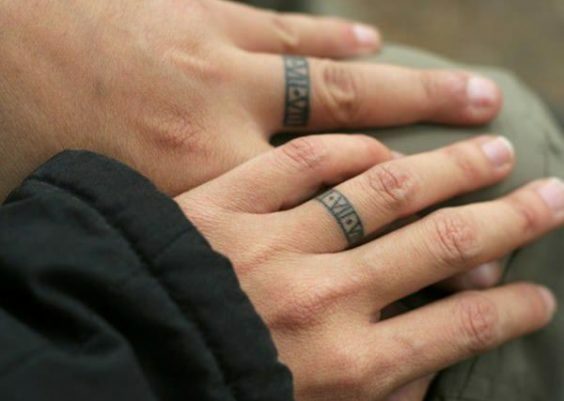 A great tattoo design that had the family name on the finger. It’s a small tattoo that can fit anywhere. 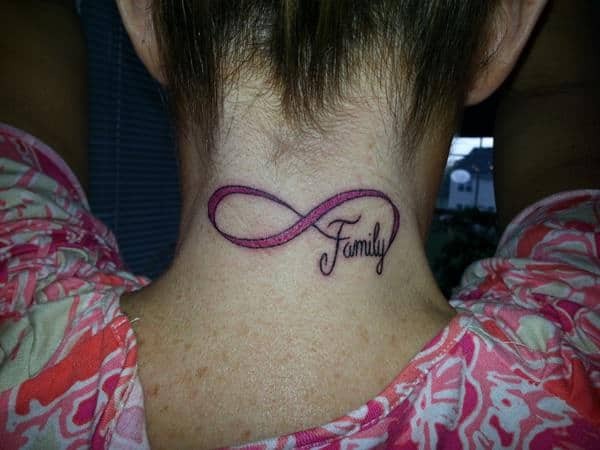 Another great example of the breast cancer symbol to represent family love. 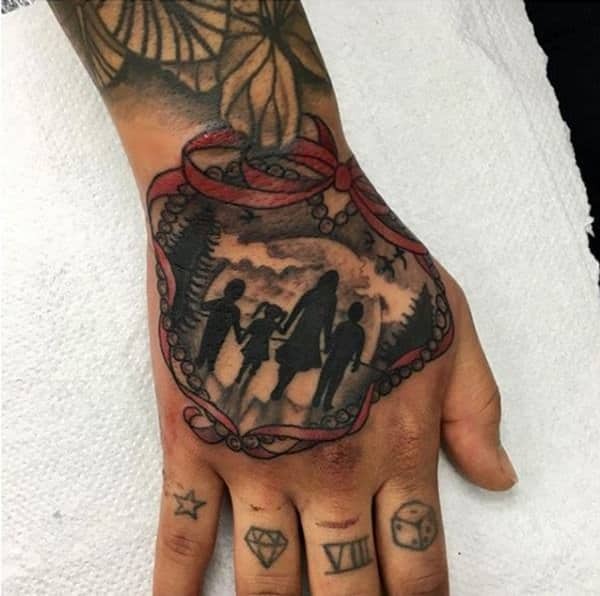 A great tattoo that fits nicely on the hand. 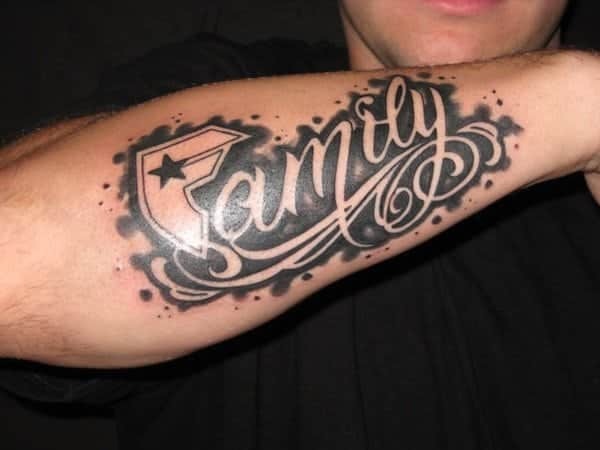 A large family symbol tattoo that is eye-catching with all the black. 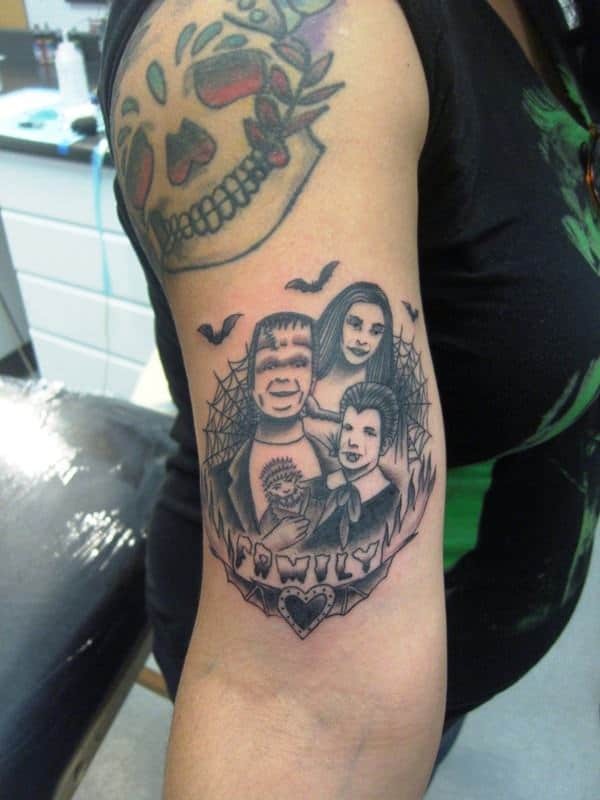 A great tattoo for those who not only love their family but the Addams family as well. A great tattoo that is very simple and wonderful. You don’t need anything flashy to have a great tattoo. 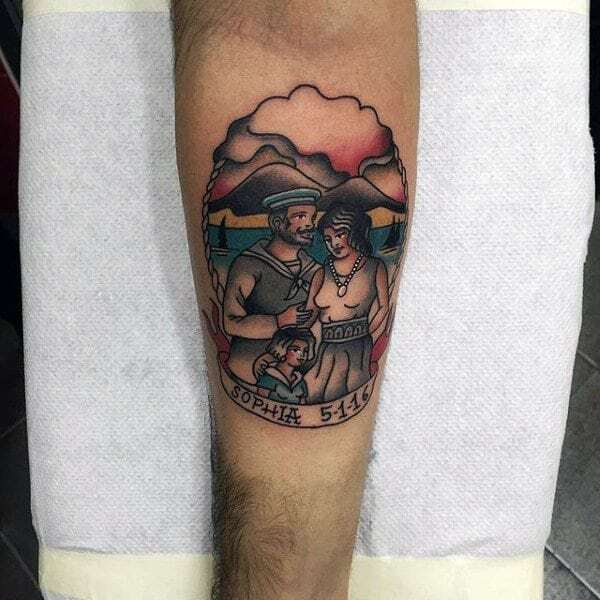 A great Irish Family is sure to love this tattoo. 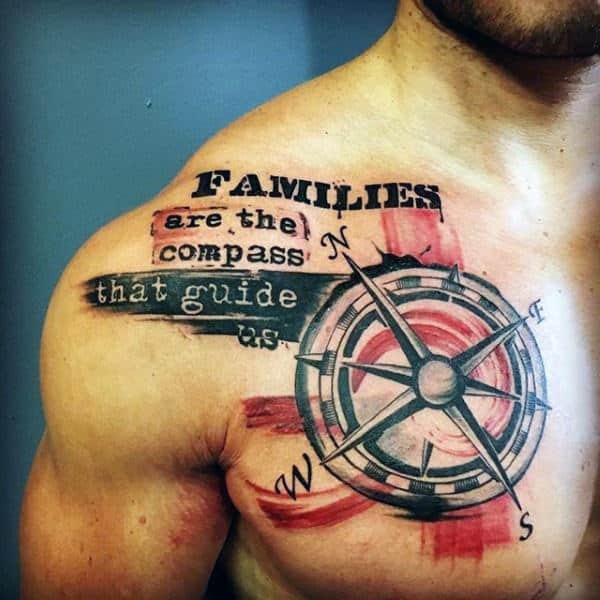 If you are looking for the family theme then you are sure to love this tattoo design. 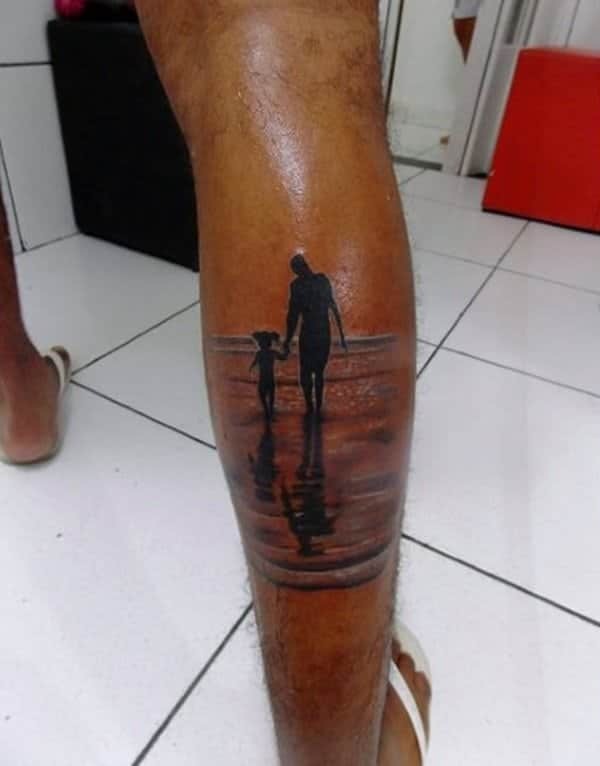 This is a great example of a tattoo of a parent and their child. A walk together will always bring back amazing memories. It’s a sweet tattoo and one that you will cherish. A great family picture that you are sure to love. It has an old fashion feel to it that you won’t be able to get enough of. This warm picture of a realistic heart is representing the family love that you see on the inside. We just love the vacation theme as well. This is the type of design that just warms the heart. We are in love with the warm colors involved here. A great design that covers the whole sleeve. 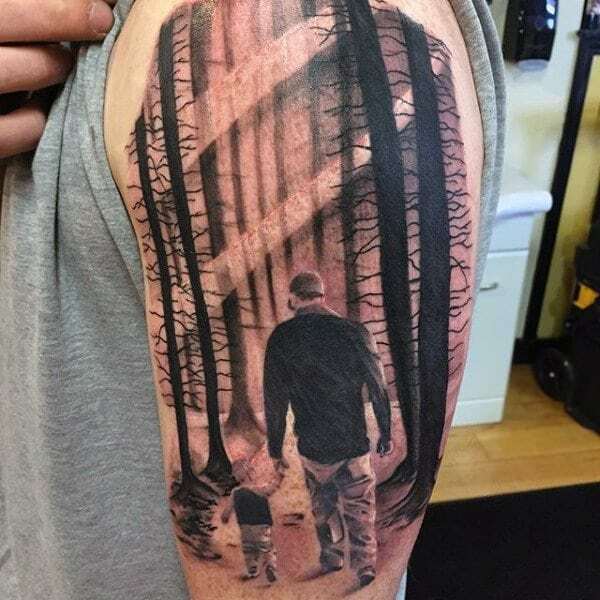 It’s a gorgeous image of a father and son taking a walk through the woods. It’s a detailed design that is beautiful. 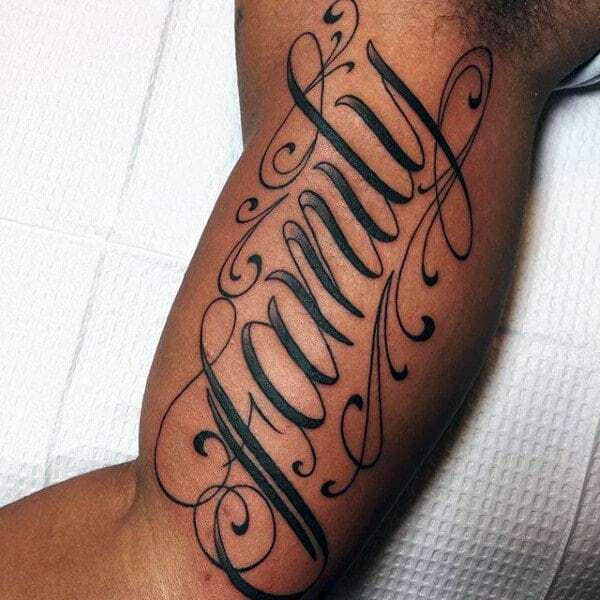 There is strong love with this family tattoo because of the large design here. 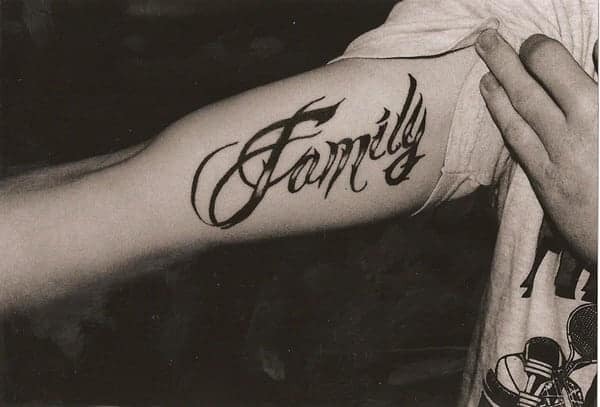 Large or small family tattoos are great ways of showing your love. These family names are all attached to the tree and the tree itself is gorgeous. If you want to represent the whole family, then this is a great way to do it. 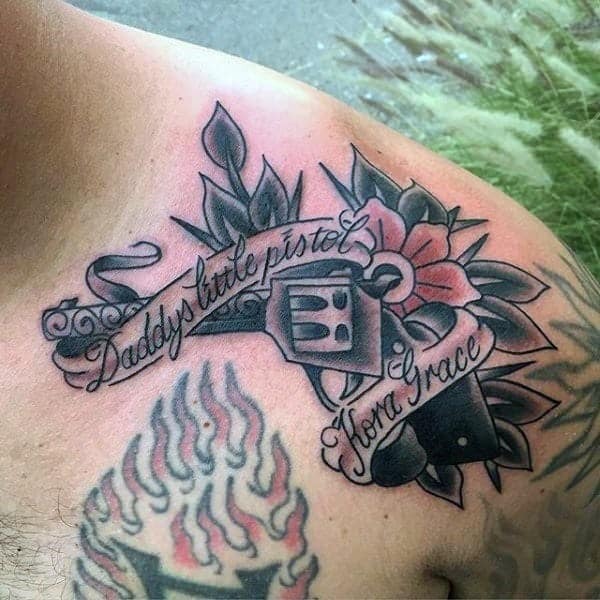 This tattoo is all about being the Daddy’s Girl. She has the name tattooed on her wrist. It’s a great spot that will always remind you of your dad. Keep that love close. Maybe she has a Dad and a Stepdad because she seems to be representing two here. 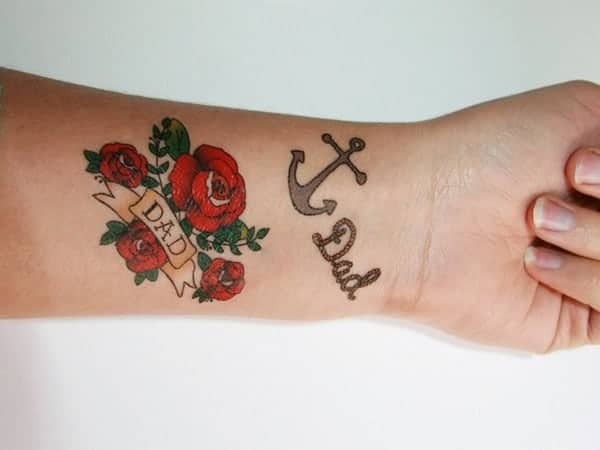 One with an anchor and one with roses. It may have to do with different personalities. If you have multiple dads to represent then this is a cute way to do it. 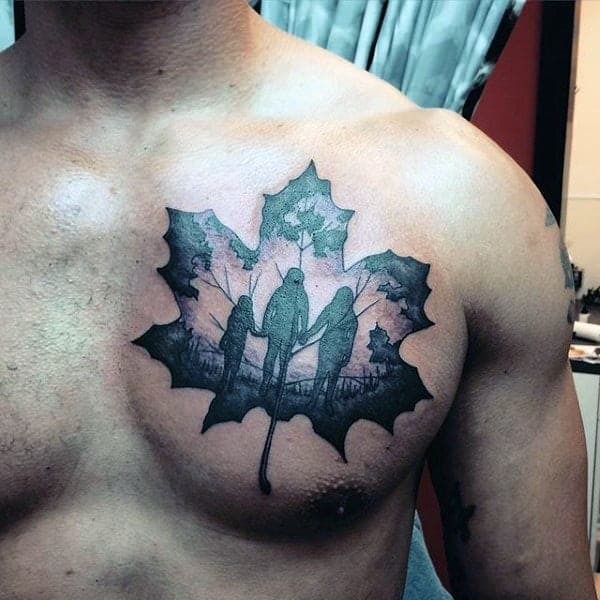 A great tattoo that looks good on the chest. 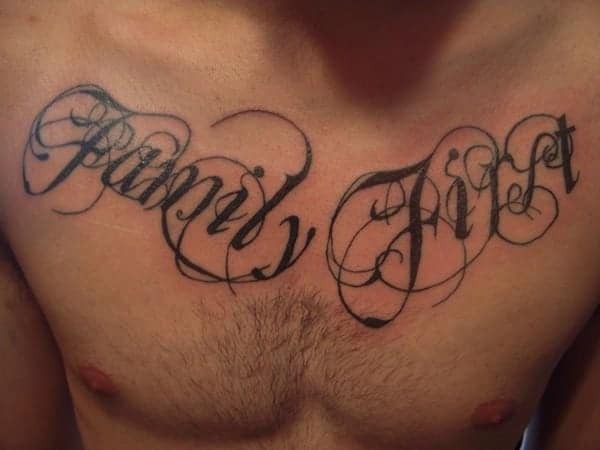 Family First is a great design that is sure to look wonderful on the chest. 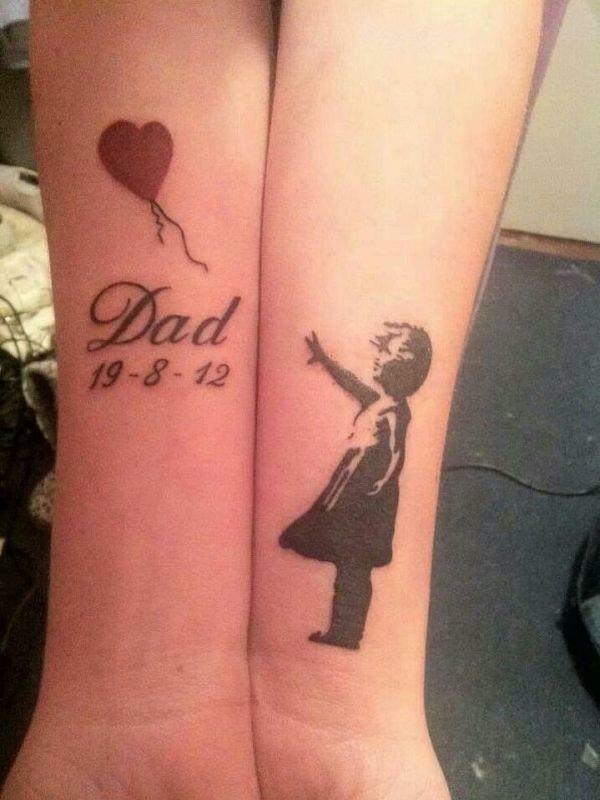 This is a heartwarming tattoo that goes from one arm to another. There is a balloon with a date and a picture of a child. It’s a wonderful image that anyone is sure to love. It’s a prescious tattoo and we love the splash of red that makes the tattoo pop. A great image that can be shared between two sisters. 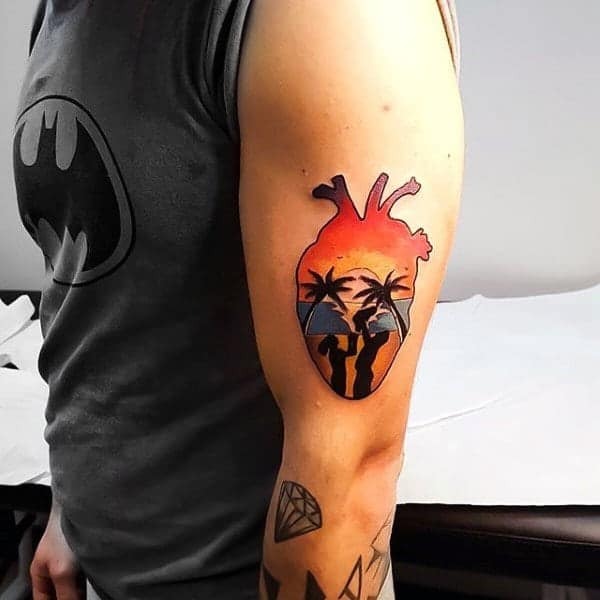 It’s a great tattoo of a heartbeat design. Heartbeat designs are very popular right now and they are made even more special if it’s used as a family tattoo. If you want something that is close to your heart then this is it. 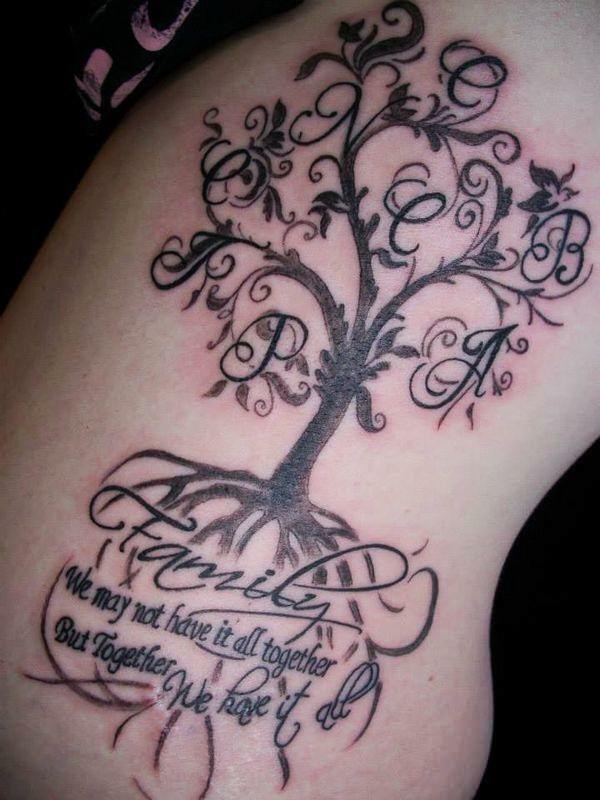 A great family tree design that has some ornate initials on it. We love this elegant design because it’s truly beautiful. 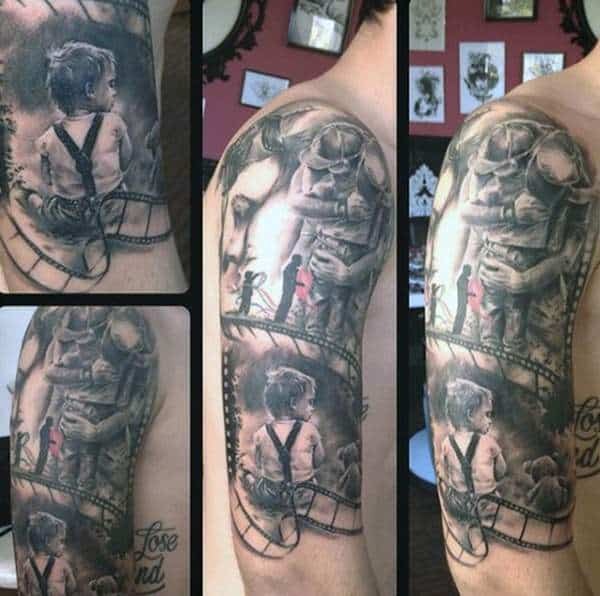 No need for color on this tattoo. 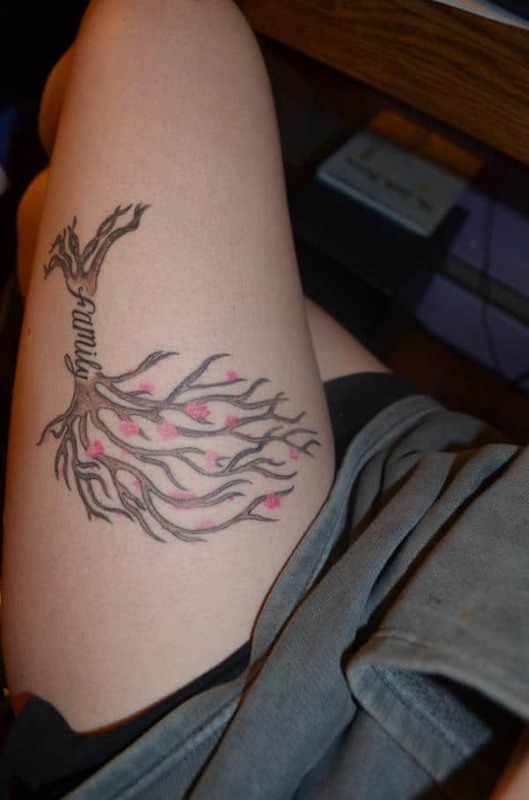 There are many different family tree tattoos out there and this one is very feminine. If you love this type of style then you are sure to love this gorgeous design. 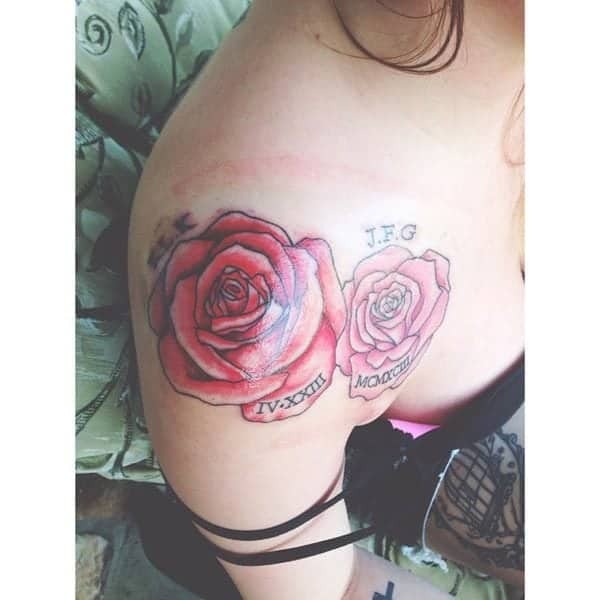 These are always popular tattoo ideas and they are also very beautiful. 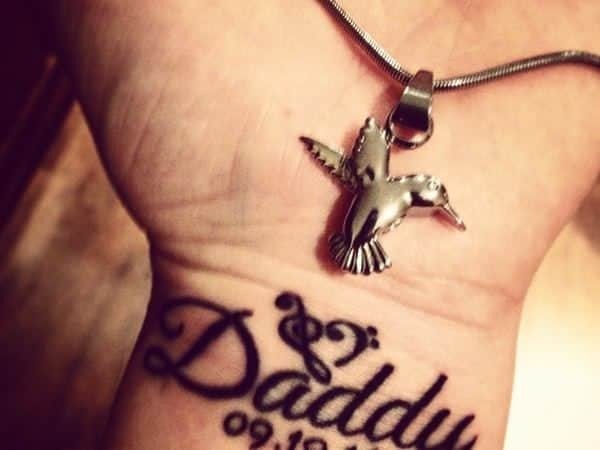 If you are looking for something to show your love for your children, then you are sure to love this tattoo. You can add a name or even the date of birth. 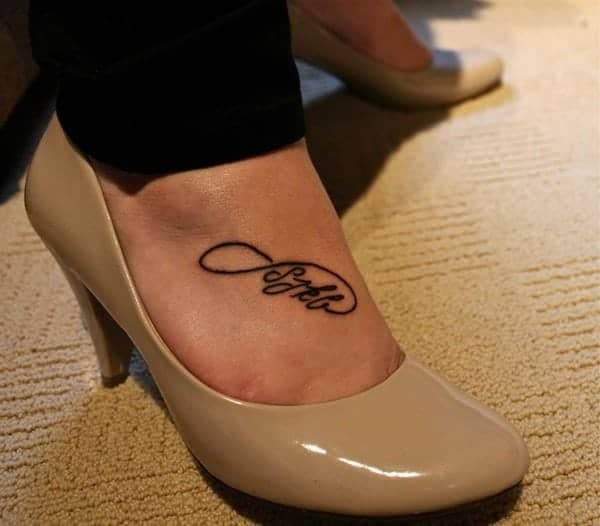 There are many different ways that you can personalize a tattoo. Make it your own and it is even more special. This is a rather large design and one that includes a gorgeous cross. 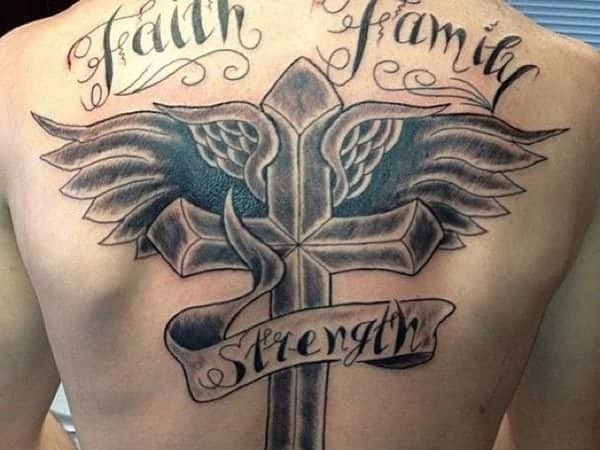 Faith and family are always very symbolic and beautiful. This is a dark image that is sure to be a badass for life. It’s a large tattoo that makes for a big commitment so make sure that a large tattoo is what you really want. If you have a love for your mother than you are sure to love this design. This beautiful bird with a heart is a great one if you want to represent love for your mom. 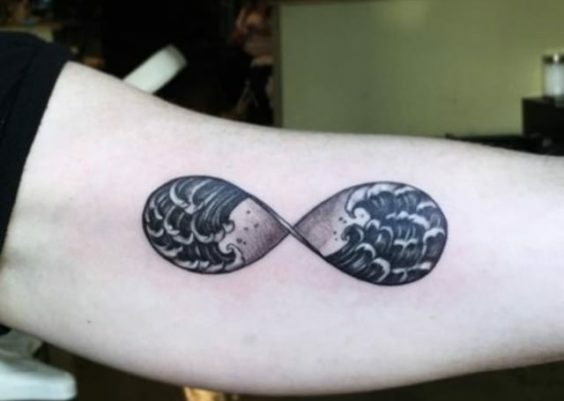 It’s an old school tattoo design that will have you feeling very nostalgic. If you are looking for a tough design then this is the one for you. It covers the whole back and there is a lot of detail to it. 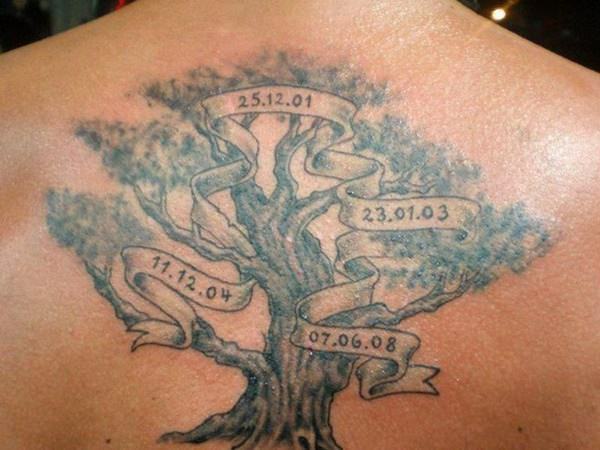 The dates represent the family members that are in the tree. It’s a creative way of showing love for your family. The green coloring is unique and gorgeous, it’s a beautiful design that you will love always. A great statement that says your love pretty clearly. 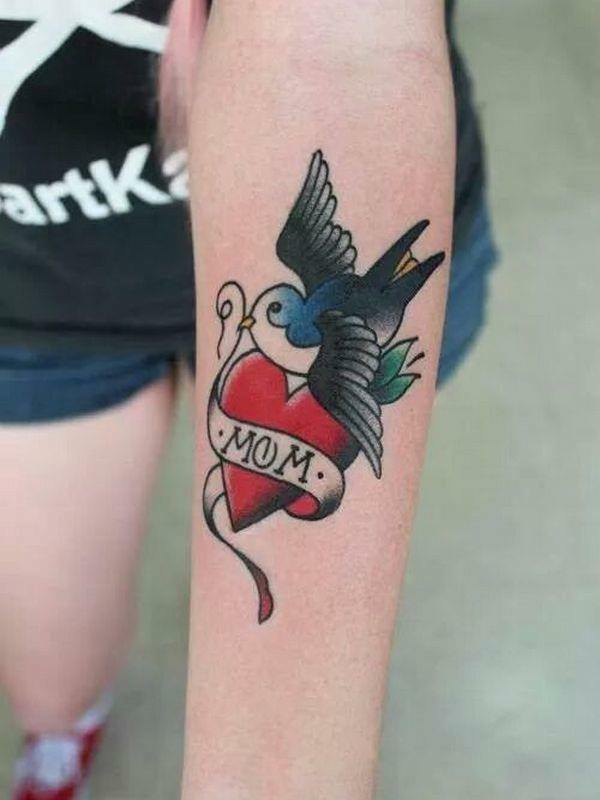 There is a lot of love for mom on this tattoo and if you feel the same way then you are sure to love this tattoo. 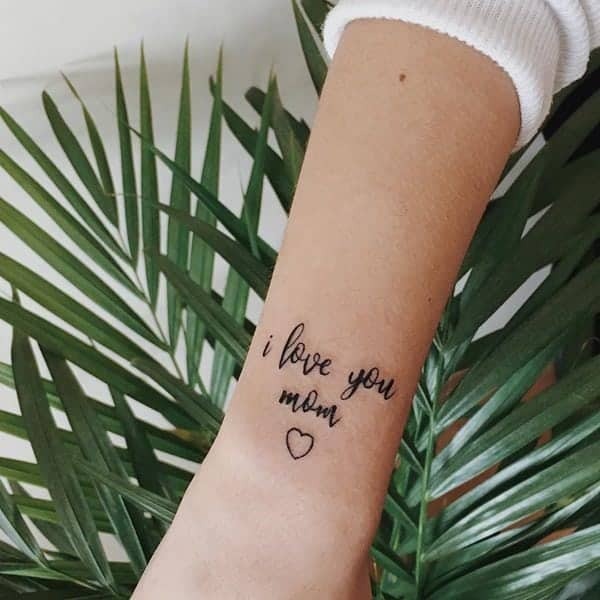 “I love you mom,” is a great way for you to show your love for your mom. 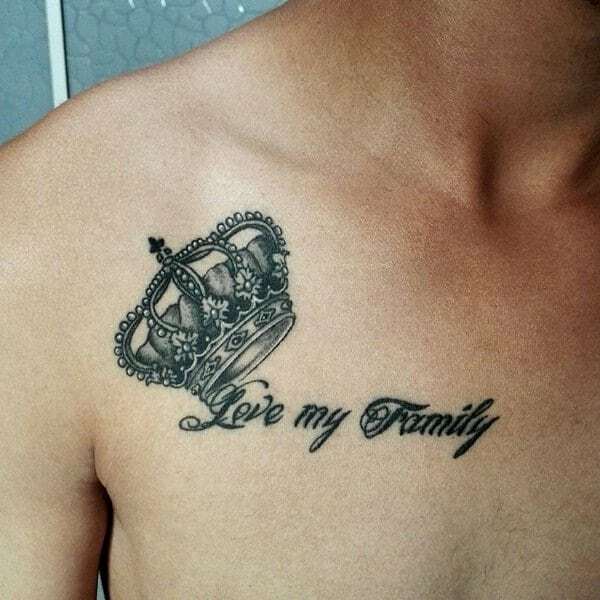 If you think your family is deserving of a crown then you are sure to love this tattoo. We love the detail of the crown, it’s stunning. 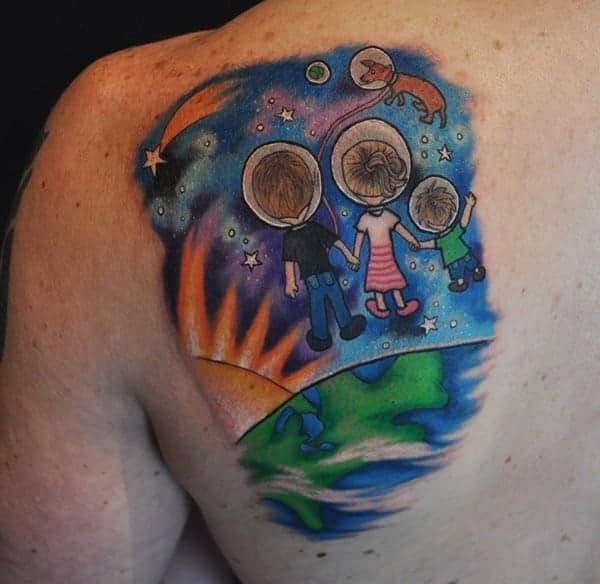 Make your own family the jewels of your eye with this family tattoo. We can’t get enough of this crown, it’s truly a gorgeous design. These cartoon designs are truly wonderful. We love this cute little family and the obvious love that they show here. 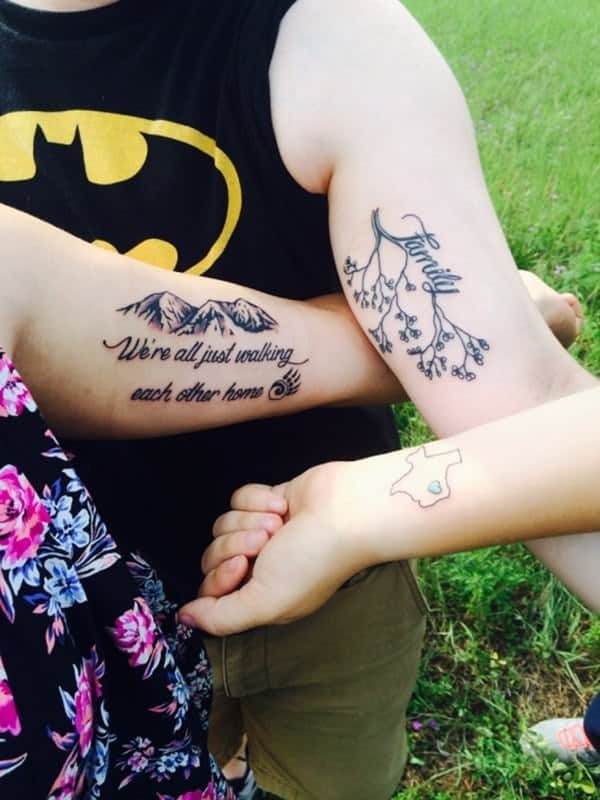 These images are cute and sweet, the perfect family tattoo. Stick figure families have always been popular choices and this is a great example of family love. A great tattoo design that can be used as a matching image. Make it unique by changing it up a little for each family member. These are fun designs that you are sure to love. 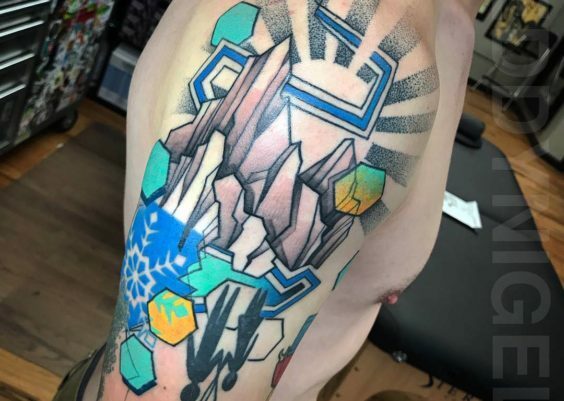 A great shoulder tattoo that is truly beautiful. 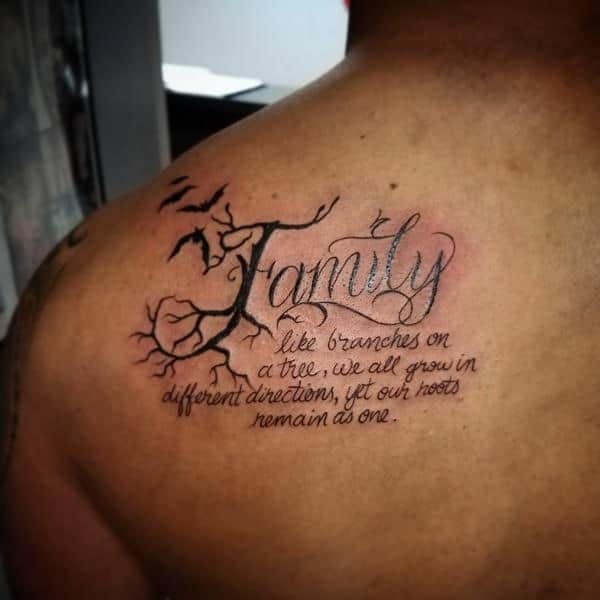 This tattoo is a family quote that represents a lot of love. 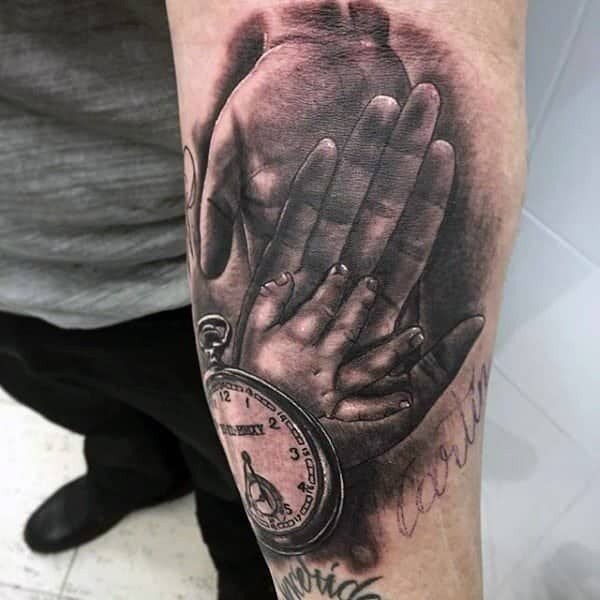 A gorgeous hand tattoo that you are sure to love. This family of four has some great love and it’s shown in this silhouette image. 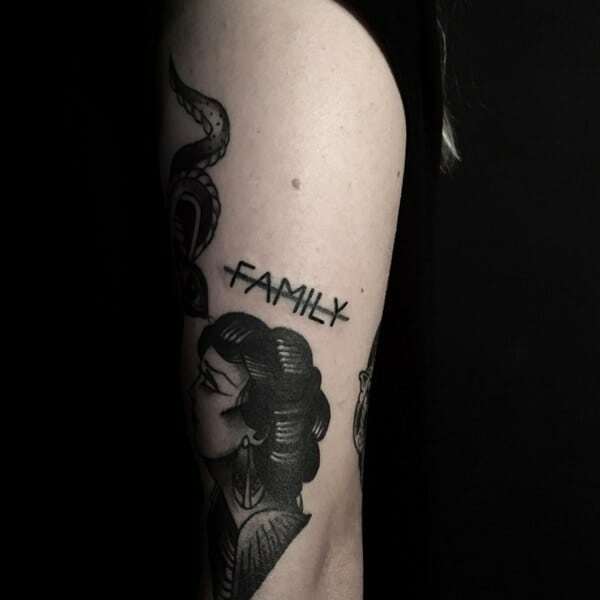 If you love family then you are sure to love this family tattoo. This is certainly a tattoo that’s going to draw the eye. This is a powerful image and it is quite bold. It’s a huge commitment because it’s not the kind of tattoo that could be easily hidden. But clearly, this owner wants people to know that family comes first. 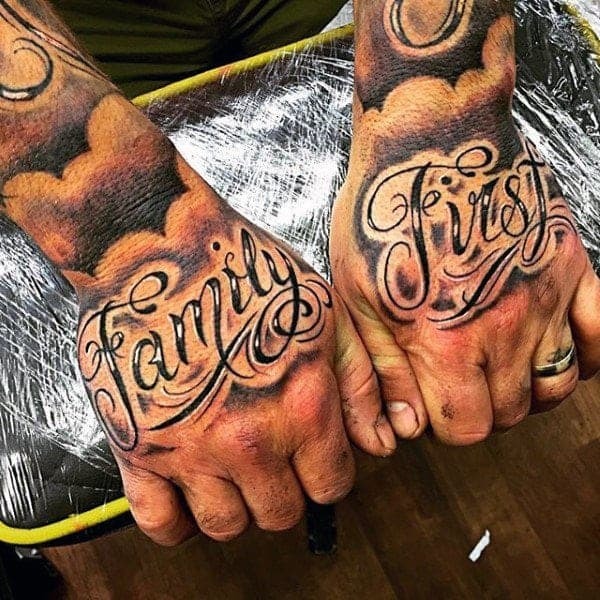 If you are looking for a great tattoo for your family then we hope that you found it here. These images are not only amazing but they speak of love in many ways. When it comes to getting your tattoo design make sure that you have a great artist involved. You want to make sure that you get a great tattoo so always ask to see a portfolio so that you know who you’re working with. We hope that you enjoyed the article and found a tattoo to represent your tattoo. Comment on your favorite image!